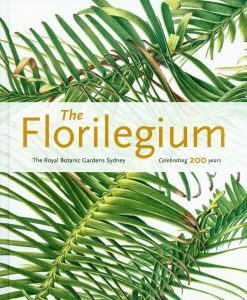 A quality production with full-page illustrations of 87 historically significant plants in Sydney’s three botanical gardens. 64 leading botanical artists contributed to this wonderful collection. The majority are Australian with 23 international artists also contributing. Almost all of the artists are represented in the major public and private collections around the world and have been awarded medals. The artists donated their work to the Royal Botanic Gardens and Domain Trust to create this contemporary florilegium. A florilegium is a collection of paintings of plants from a particular garden or place. The paintings have been exhibited at the Museum of Sydney in 2016 and in 2018, the exhibition travelled to the Shirley Sherwood Gallery in the Royal Botanic Gardens, Kew: a measure of its quality. 87 plants were chosen for their botanical and historical significance. Most have been painted life size, and then reduced by about half for reproduction in the book. The variety of contemporary styles represent individual artistic responses to the plants, while always retaining botanical accuracy. The foreword is by Dr Shirley Sherwood OBE, the foremost collector of botanical art; with an introductory essay by Beverly Allen, and historic overview by Colleen Morris is followed by text for each plant’s fascinating historic and cultural significance and a botanic description by Louisa Murray. Artist biographies are included. The book is an attractive contemporary design, printed on quality matt art paper (low gloss), allowing accurate reproduction of the colours. Careful quality control through the production process has ensured this. Text is on the left-hand page of each spread, with the artwork generally on the right, sometimes spreading over both pages. All profits from sales of the book will go towards conservation of books and artwork held at the Gardens. The artists have donated their work to the Royal Botanic Gardens and Domain Trust. High on the hills of the Atherton Tablelands in far north Queensland stands a glasshouse built by orchid expert Bruce Gray. Whether from the cloud forests of South America, the Himalayan Mountains of India, the mangroves of the Philippines, the rocky outcrops of Madagascar or the dense rainforests of New Guinea, tropical species thrive here. 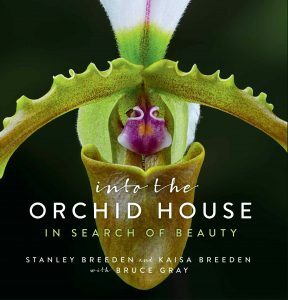 Award-winning photographers Stanley and Kaisa Breeden capture the plants in rich, detailed images. Specialising in macro photography using natural light, the Breedens produce masterful floral portraits, exquisite in detail and colour. Step into the orchid house to discover this extraordinary and diverse world. An expert guide to producing beautiful lifelike drawings of birds in their natural habitat. This book is an expert guide to producing beautiful lifelike drawings of birds in their natural habitat. Artists of all interests will find a lot to inspire them in this detailed, practical and beautiful guide on drawing birds. 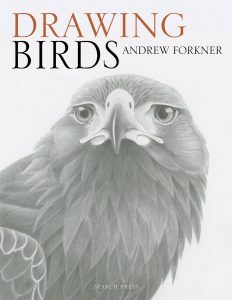 The book includes sections on materials, basic techniques and reference gathering, as well as how to draw the key features of birds such as beaks, eyes, claws, wings and feathers. A special section focuses on birds in flight, and this is followed by chapters on the main bird groups including: Waders and water birds, Wildfowl, Birds of prey, Owls, Garden and woodland birds, Seabirds and Game birds. Each chapter covers the techniques specific to the group as well as numerous examples and a full step-by-step demonstration. The absence of colour means that Andrew uses other aspects such as pattern, shading and shape to give his paintings life and interest. Written for artists who wish to apply their skills to drawing birds, as well as experienced artists who want to improve their drawing skills, this is an expert guide to producing exquisitely rendered, lifelike drawings of birds in their natural habitats and nothing could be more inspirational than Andrew’s accurately observed and truly beautiful drawings. 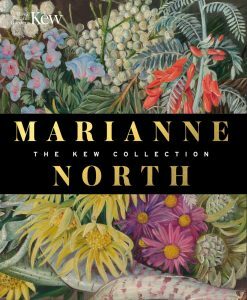 Marianne North was a remarkable Victorian traveller and painter, who traversed the globe recording the world’s flora with her paintbrush and writing her experiences in her journal. In 1879 she offered her painting collection numbering over 800 to the Royal Botanic Gardens, Kew, and at her own expense built a gallery to house them. Marianne stayed closely involved with the project, painting beautiful decorative motifs on the interior door panels and surrounds. 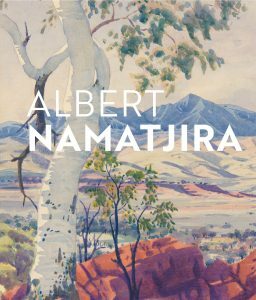 For the first time, this unique and stunning book brings together all of Marianne North’s Kew collection. The paintings are arranged geographically as they appear in the Gallery, and Marianne’s original titles are included alongside each painting. With an introduction by Christopher Mills, former Head of Kew’s Library, Art and Archives. This is a beautiful gift souvenir in celebration of a stunning body of work. Multi award-winning photographer Ken Duncan, is one of Australia’s most gifted and prolific landscape photographers. 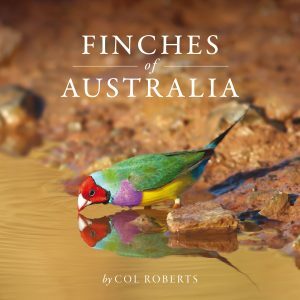 This premium quality, hard cover book features a selection of classic panoramic landscape images by Ken Duncan from all over Australia. Accompanying each image is a carefully selected, thought-provoking inspirational quote. Ken Duncan has designed this book as a potential antidote to the stress and pressure of living in our modern world. Ken believes there has never been a more important time for a book like this. Printed on premium stock, with varnish on all images; paper laminated case and dust jacket. From the fifteenth century onwards, as European explorers sailed forth on grand voyages of discovery, their encounters with exotic plants and animals fanned intense scientific interest. Scholars began to examine nature with fresh eyes, and pioneering artists transformed the way nature was seen and understood. 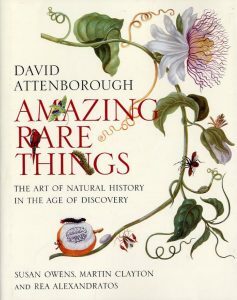 In Amazing Rare Things, renowned naturalist and documentary-maker David Attenborough joins with expert colleagues to explore how artists portrayed the natural world during this era of burgeoning scientific interest. The book focuses on an exquisite selection of natural history drawings and watercolors by Leonardo da Vinci, Alexander Marshal, Maria Sibylla Merian, and Mark Catesby, and from the collection of Cassiano dal Pozzo – works all held in the Royal Library at Windsor Castle. Attenborough and his coauthors offer lucid commentary on topics ranging from the 30,000-year history of human drawings of the natural world, to Leonardo’s fascination with natural processes, to Catesby’s groundbreaking studies that introduced Europeans to the plants and animals of North America. 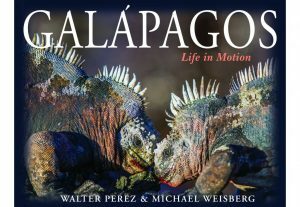 With 160 full color illustrations, this beautiful book will appeal to readers with interests that extend from art and science to history and nature. 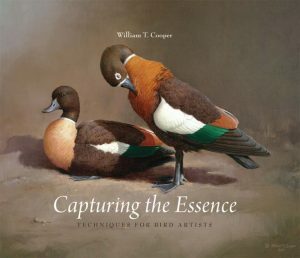 In this stunningly beautiful book, bird artist William T. Cooper explores and demonstrates all aspects of drawing and painting birds. Renowned for his gorgeous and accurate wildlife renderings, Cooper here explains in detail how to create a true impression of a bird’s appearance. The author describes his own experiences among birds in the wild, discusses bird anatomy, and lays out the essential principles of realistic painting. He guides both seasoned artists and enthusiastic beginners through all the techniques and processes involved in depicting birds anywhere in the world. In the first part of the book, Cooper covers materials, bird anatomy, methods of working from captive birds (in zoos, for example), and methods for working in the field. He places special emphasis on the artist’s understanding of the subject and how this knowledge can be transformed into drawings and paintings. The second part of the book deals with watercolors, acrylics, and oil paints, explaining for each medium the step-by-step processes leading from beginning sketches to finished work. In the work of artist William T.Cooper, platypuses swim in green underwater worlds, waves throw up blankets of spray, embers glow in the aftermath of a bushfire, a Thylacine emerges from the shadows, sniffing the air. 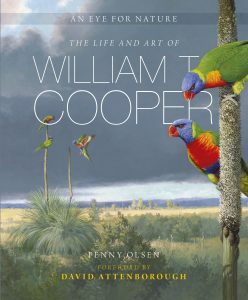 But it is his paintings of birds which set Cooper apart—his raucous cockatoos, colourful parrots, animated turacos and flamboyantly displaying birds of paradise. Often placed in meticulously studied landscapes, these intricate bird portraits reveal Cooper’s close observation not only of his subjects’ appearance, but their habits, poses and behaviour. In this biography, Penny Olsen traces the path of Cooper’s life and art—from his childhood spent in the bush, to his teenage years as an apprentice taxidermist at Carey Bay Zoo and, later, to his work as a window dresser and landscape artist. She documents his fruitful partnership with wife and collaborator Wendy Cooper and his extensive travels in Australia and abroad in pursuit of his subjects. An unprecedented visual exploration of the intertwined histories of art and science, of the old world and the new. From the voyages of Christopher Columbus to those of Alexander von Humboldt and Charles Darwin, the depiction of the natural world played a central role in shaping how people on both sides of the Atlantic understood and imaged the region we now know as Latin America. Nature provided incentives for exploration, commodities for trade, specimens for scientific investigation, and manifestations of divine forces. It also yielded a rich trove of representations, created both by natives to the region and visitors, which are the subject of this lushly illustrated book. Author Daniela Bleichmar shows that these images were not only works of art but also instruments for the production of knowledge, with scientific, social, and political repercussions. Early depictions of Latin American nature introduced European audiences to native medicines and religious practices. By the 17th century, revelatory accounts of tobacco, chocolate, and cochineal reshaped science, trade, and empire around the globe. In the 18th and 19th centuries, collections and scientific expeditions produced both patriotic and imperial visions of Latin America. 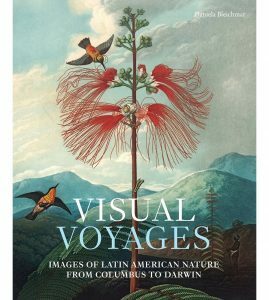 Through an interdisciplinary examination of more than 150 maps, illustrated manuscripts, still lifes, and landscape paintings spanning four hundred years, Visual Voyages establishes Latin America as a critical site for scientific and artistic exploration, affirming that region’s transformation and the transformation of Europe as vitally connected histories.